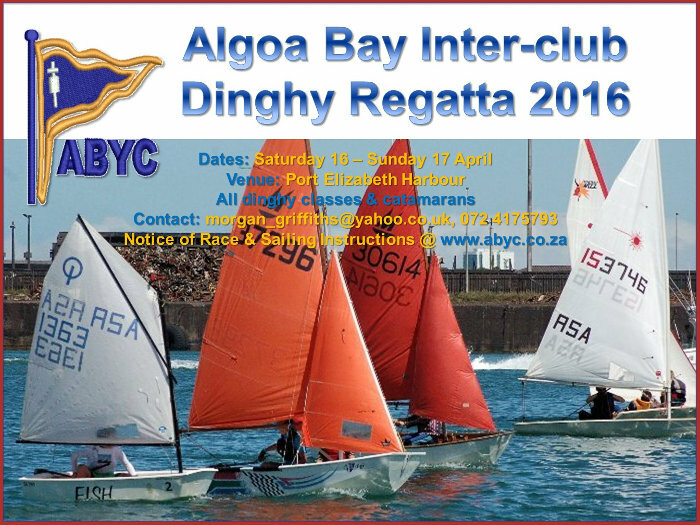 Algoa Bay Yacht Club invites your participation in the Inter-club Dinghy Regatta, to be staged over Saturday 16 and Sunday 17 April 2016, in Port Elizabeth from ABYC. Racing will take place within the confines of the harbour as a mass election rally will be taking place at the Nelson Mandela Bay stadium adjacent to the North End Lake – resulting in approval being denied to our sailing event by the municipal safety and security team. We received approval from Port Control yesterday to sail within the harbour and look forward to hosting you. Please will you extend this invite to your friends and family at other clubs. Please contact Morgan Griffiths should you have any enquiries. We will need be needing help from parents and novice sailors on the rescue boats and with assisting the dinghies to launch and land. Please notify Morgan if you can assist in this regard. Our mates over at Ola Ice Cream have made a fun donation to the event – sticky faces, sun and fun.